United Nations General Assembly adopted a resolution declaring April 12 as the International Day of Human Space Flight on April 7, 2011, in commemoration of the first manned space flight by the 27-year-old Russian Soviet cosmonaut Yuri Gagarin on April 12, 1961. Gagarin circled the Earth for 1 hour and 48 minutes aboard the Vostok 1 spacecraft. On April 12, 1981, exactly 20 years after the first manned space flight, Space Shuttle Columbia was launched for the first orbital flight as mission STS-1. 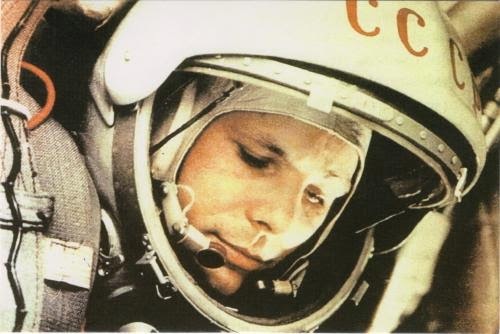 Postcard RU-2069606 from Russia shows Yuri Alekseyevich Gagarin (March 9, 1934 – March 27, 1968), a Russian Soviet pilot and cosmonaut who was the first human made into outer space.